Take some shinobi swimming lessons by learning how to dive underwater in Sekiro: Shadows Die Twice. The Wolf in Sekiro: Shadows Die Twice is a many of many talents. However, spend any time in the water and you’ll soon discover that he’s oddly unable to dive. 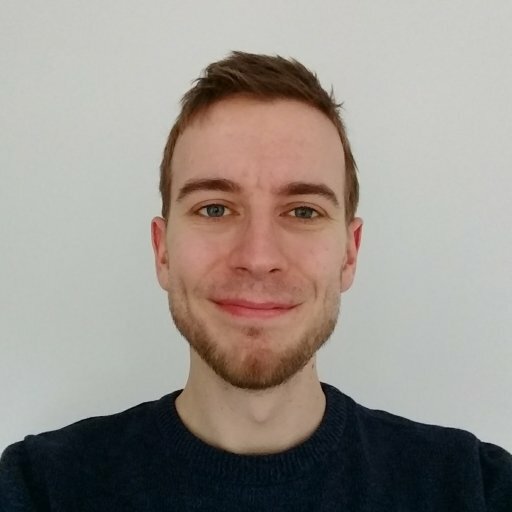 There are many creatures and items hidden at the bottom of pools, and you’ll even be able to lock on to them while swimming, but unable to interact. 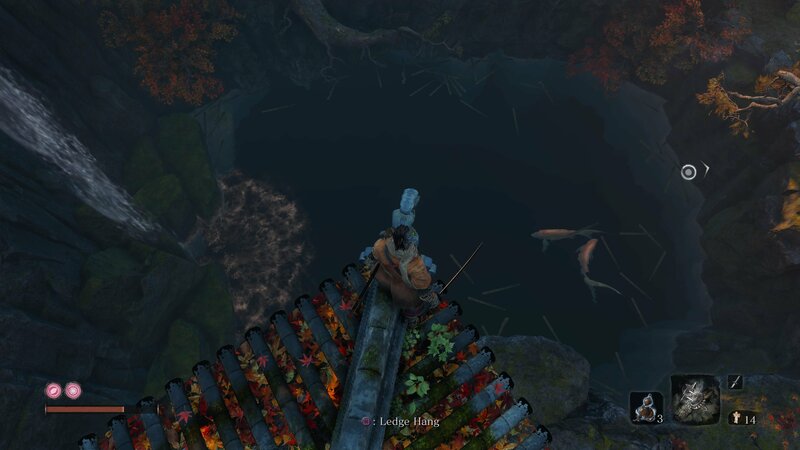 Whether you’re hunting down the rare Treasure Carp Scales or simply want to explore the waters further, this guide will teach you how to dive underwater in Sekiro: Shadows Die Twice. Despite being a competent swimmer, the shinobi won’t be able to swim underwater, or at least not for the majority of the game. To gain the ability to dive, you’ll need to obtain the Mibu Breathing Technique. Unlike other skills, this isn’t gained by earning Skill Points and spending them on one of the Esoteric Texts. Instead, you’ll gain the Mibu Breathing Technique after defeating the Corrupted Monk for the first time. This boss is encountered in Ashina Depths, reached either via the Sunken Valley or through the bottomless hole in the Abandoned Dungeon. Once you’ve beaten the Corrupted Monk, you’ll gain the Mibu Breathing Technique automatically, and will now be able to dive and swim underwater in Sekiro: Shadows Die Twice. As this is a Latent skill, you won’t need to equip it. Jump in some deep water and you’ll automatically be able to dive. There are a large number of areas this skill will be useful, so we’ve listed each of the diving areas below so you know where to head back to and explore. The lake at the start of the area, off the right of the bridge in the water with the pot noble merchant. Past the Estate Path Sculptor’s Idol is a bridge over a river, just before the place you fought the Shinobi Hunter with the spear. Jump into the river to be able to dive. Further up the path past the Bamboo Thicket Slope Sculptor’s Idol is a lake you can dive in. 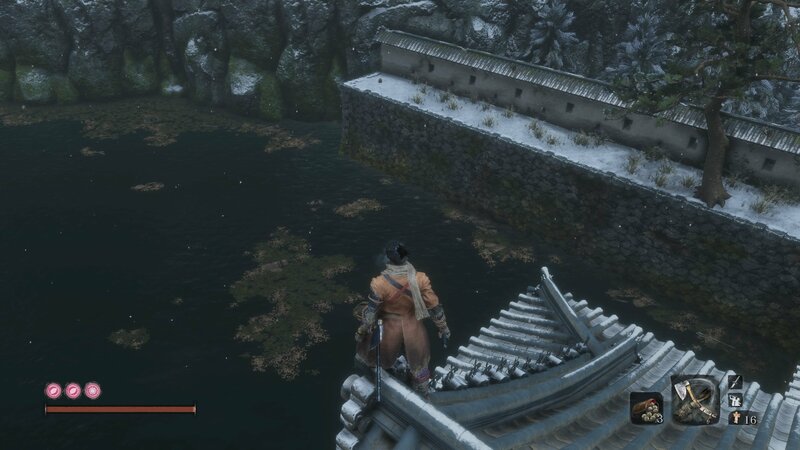 Jump off the bridge at the Ashina Castle Sculptor’s Idol. 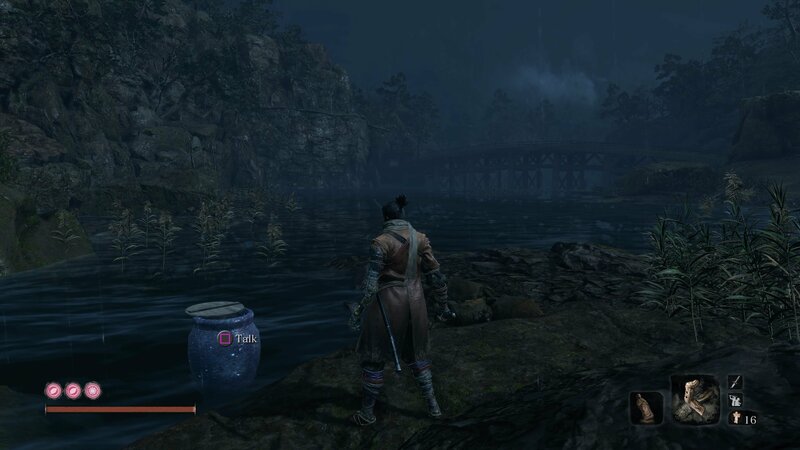 From the Ashina Reservoir, return to the starting area of the game, where you fought the Lone Shadow Longswordsman and dive down inside the cave. Behind the castle (the Old Grave Sculptor’s idol is closest), jump into the pool and swim to the bottom to find a Headless and some items. Starting from the Under - Shrine Valley Sculptor’s Idol, turn back and grapple over the gap to the sniper enemies. Climb up the wall here and over the gap. Jump up the wall again and hug the wall to follow the path. To the graveyard where you’ll find a Prayer Bead and some enemies next to stone mounds. There’s a lake at the back here you can dive in. Swim through the path to reach The Headless. Jump into the lake near the Riven Cave Sculptor’s Idol. You can dive in the pool underneath the waterfall in the Guardian Ape area (Guardian Ape’s Watering Hole Sculptor’s Idol). In the Underground Waterway, dive into the water next to the idol and swim through the tunnel close to Doujun for some loot. This loot may change if you completed the Tough Man quest for Doujun. You can dive into the lack after the Temple Grounds Sculptor’s Idol to find a Prayer Bead, Treasure Carp Scale and other items. The player can dive in the lake and river water around the Mibu Village and Water Mill Sculptor's Idols. Pretty much the entire area. There’s an enormous lake in the main area of Fountainhead Palace which contains many Treasure Carp and other items. 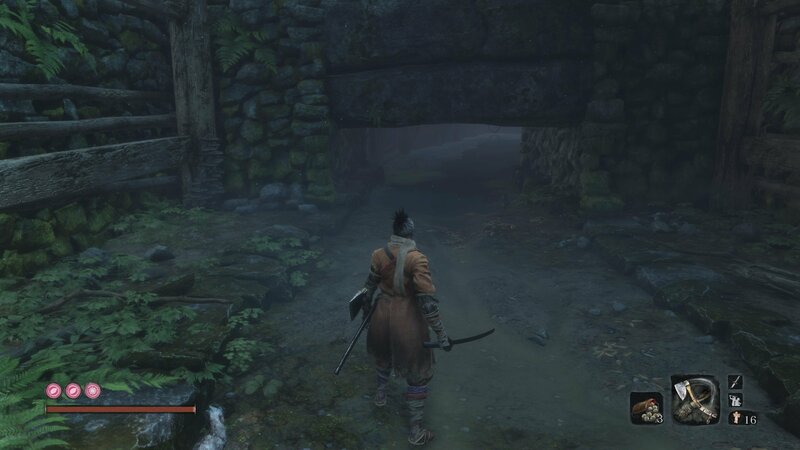 Once you know how to dive underwater in Sekiro: Shadows Die Twice, you’ll be able to explore a bunch of hidden areas of the game. You should now be able to track down the majority of the Treasure Carp Scales if you want to buy the Mask Fragments, but if you’re after other things to search for, check our guide to all shinobi prosthetic tool locations to be sure you didn’t miss any.